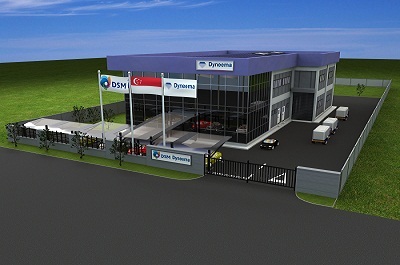 DSM will open its first application development technical center for engineering plastics in Japan on 26 March 2013 at the Yokohama Business Park in Yokohama City, Kanagawa Prefecture. The launch of the DSM Engineering Plastics Japan Technical Center is fully in line with DSM’s strategy to support and grow business not only with customers in Japan but also with overseas Japanese Transplants, for which material specifications are determined in Japan. DSM recognizes the importance of developing new innovative and more sustainable applications together with its customers in Japan. Having the new technical center, DSM can provide fast and specific test data for its products, and can collaborate more closely with existing and new customers. For establishing the center, DSM Japan Engineering Plastics K.K. is grateful for subsidies received from “Subsidy Program for Projects Promoting Asian Site Location in Japan” by the Ministry of Economy, Trade and Industry Japan and from “Targeted Industry Programs” by Yokohama City. DSM regards the search for sustainable solutions as a key driver for success and profitability. In addition to reducing the environmental footprint of its own operations by reducing energy consumption and greenhouse gas emissions, it is also driving sustainability via the engineering plastics it produces and in the applications they are used for.